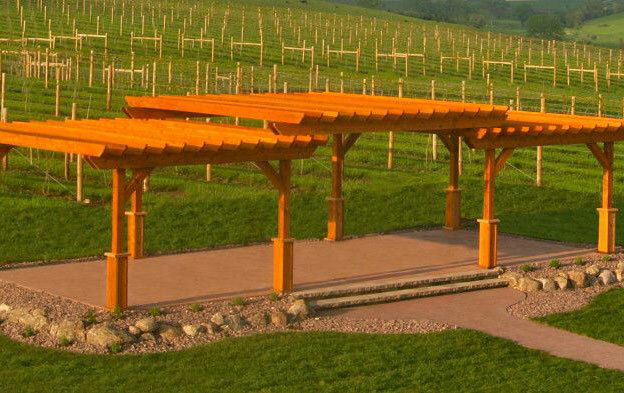 Pergolas, pavilions and arbors – how do these structures fit into your backyard design? When it comes to landscaping, most homeowners have a few ideas about the elements they’d like to add, from a dense lawn and fragrant flowers, to the trees and shrubs that will provide their yard with shade and privacy screening. They might even have some thoughts on hardscaping elements like patios and walkways, or extra amenities such as an outdoor kitchen, a fire pit, or a water feature. 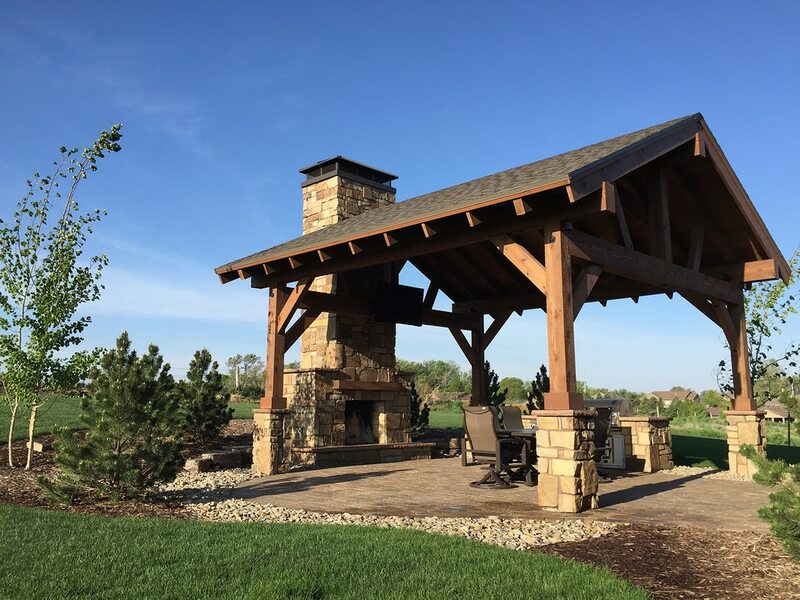 What you may not have considered just yet is how your Rock Valley or Sioux Center, Iowa home could benefit from the addition of exterior structures like charming pergolas, stately pavilions, or whimsical arbors. 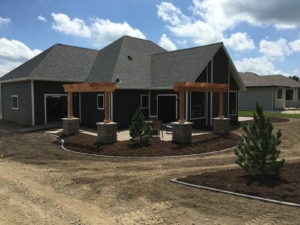 Once you've got an idea of how your landscape and hardscape elements will go together, it's time to take your outdoor living space to the next level with structures designed to add function, beauty, and depth to your yard, and the talented staff of designers and builders at Outdoor Elements Inc. is more than ready to help you get started. Many homeowners like to add trees and tall shrubbery to their yards as a way to provide shade from the hot, summer sun, and screen their yard from peeping eyes and noisy neighbors. However, trees simply might not do the trick when the sun is high overhead. Pergolas are not only a gorgeous and eye-catching addition to your yard, but they'll also provide the filtered shade that allows you to enjoy your yard, and particularly patio seating areas, all day long. Whether you're cooking up a storm in your outdoor kitchen, entertaining guests on the lanai, or simply kicking back with your family in the comfort of your lush backyard, a pavilion is the perfect solution for glaring sun and summer heat. The last thing you want when tending the grill is to sweat it out under the sun, and even when you're lounging, a shady retreat can cool you significantly. The roofed structure of a pavilion offers the shade you're seeking, while the open-air design allows you to enjoy a full view of your yard, as well as any breezes that might pass through. Even better, you can take your morning cuppa Joe or your evening meal outside when it's raining, reveling in the soothing sounds and clean, fresh scents of nature without the fear of getting soaked. Arbors are famed locales for garden trysts - what's more romantic than stealing a kiss while hidden among an alcove of roses? However, they're good for more than romantic interludes. 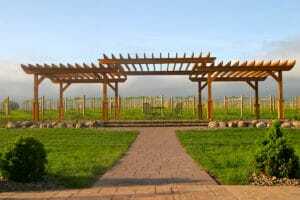 These wooden or metal structures, paired with climbing plants, provide shade for walkways or seating areas, and make for a magical addition to any backyard. 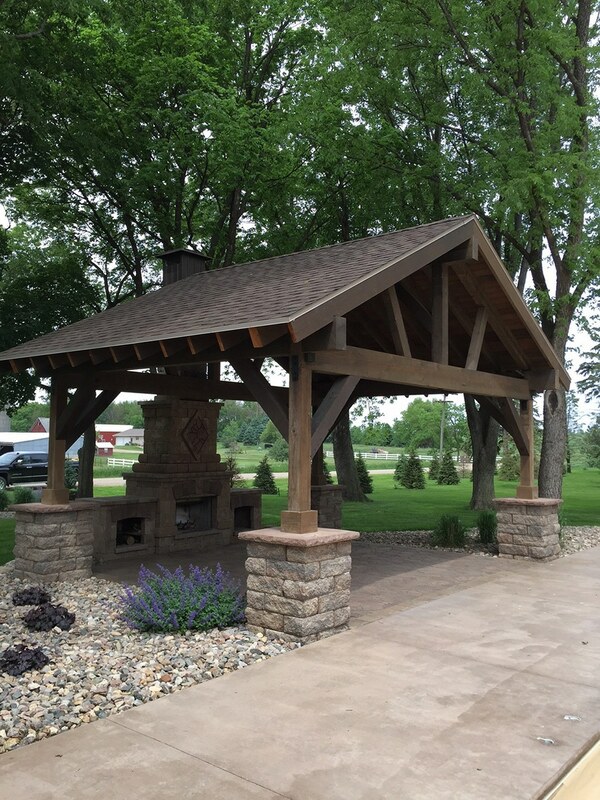 When you're ready to take your outdoor spaces from humdrum to high style, Outdoor Elements Inc. can help you to design and install the pergolas, pavilions, and arbors that will enhance the quality of your yard on every level. Contact us today at alex@outdoorelementsinc.com to schedule a consultation and get started with your backyard beautification project.